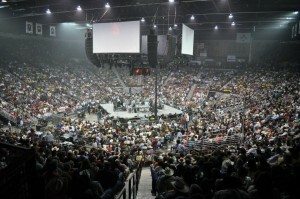 The Pan American Center, built in 1968 and renovated in 2006-07, is one of the finest arenas in the American Southwest. Seating 13,140, the Pan Am hosts athletic events, including Aggie basketball and volleyball, as well as some of the top entertainers in America. The renovation and expansion project added an annex building to the south end of the arena that features offices, practice facilities and locker rooms, and a conference room named for former Special Events director and community icon Barbara “Mother” Hubbard. 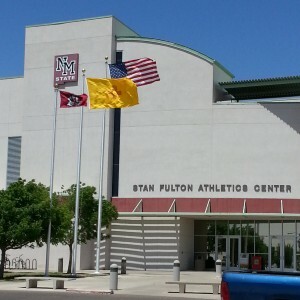 The Pan American Center is located just west of its namesake, the Pan American Highway (Interstate 25), and sits immediately to the north of Aggie Memorial Stadium. 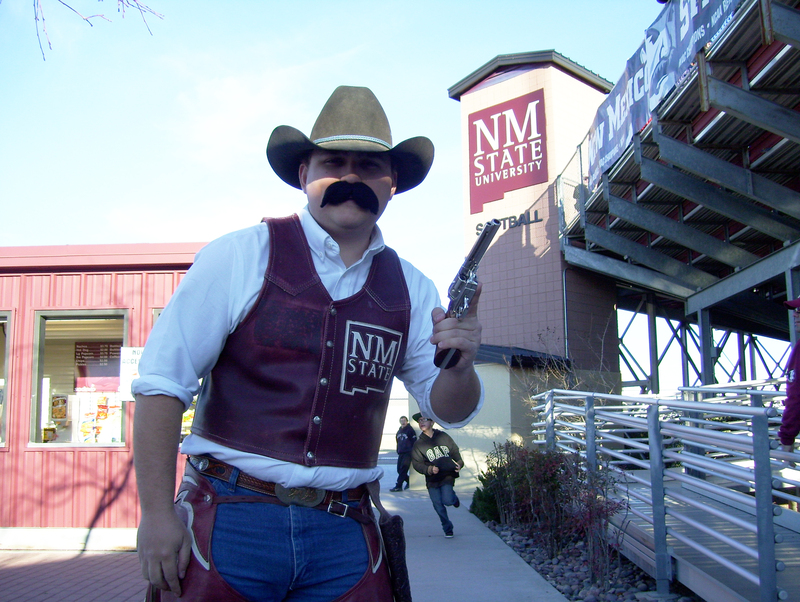 Built in 1978 and named to honor NMSU students who have served in the armed forces, Aggie Memorial Stadium hosts Aggie Football as well as a number of the country’s top artists and performers. 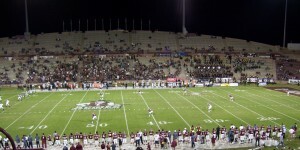 The stadium has a capacity of 30,545 and is considered to be one of the finest sports facilities in the American Southwest. Auxiliary buildings include modern locker rooms, Aggie Athletics offices, football meeting rooms, strength and conditioning facilities, and a functionally designed press box with seating for nearly 100 working media and event staff. Aggie Memorial is located just west of Interstate 25, and is a short walk from campus housing with parking for over 5,000 vehicles. Presley Askew Field, named after one of the greatest coaches in Aggie history, seats 750 spectators. The complex boasts top-quality lighting for night games, and houses batting cages, offices, locker rooms, a concessions stand, and restrooms. Originally constructed in 1981, a renovation of the NMSU Softball Complex was completed in 2000 thanks to funding from the New Mexico Legislature. A brand new infield was provided in 2004. The complex seats 1,050, and includes a clubhouse, dugouts, batting cages, bullpens, a concession stand, and restrooms. Originally the northern half of the NMSU Football Practice Field, the NMSU Soccer Stadium was constructed in 2012. The stadium offers bleacher seating for 500, as well as a shaded, grass-covered space for additional seating. The stadium is located in between Aggie Memorial Stadium and the Softball Complex. The 33,467 square foot Fulton Center was constructed in 2004, funded in part by Mr. Stan Fulton, the owner of Sunland Park Racetrack and Casino. 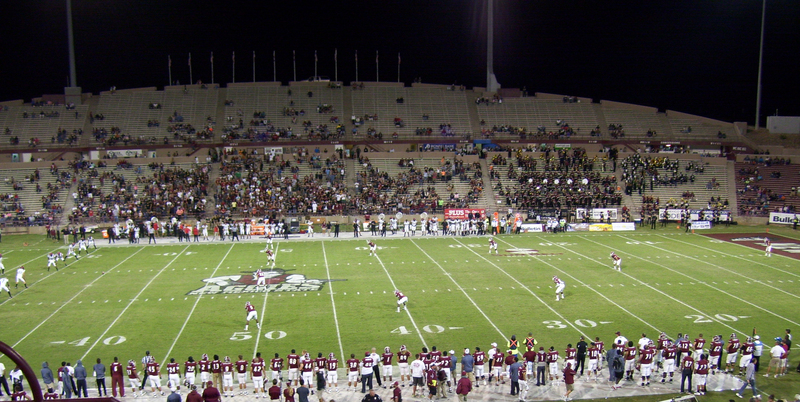 The Fulton Center is located at the south end of Aggie Memorial Stadium. The three-story facility includes class rooms, computer labs, study rooms, athletic department administration offices, an athletic training and sports medicine complex, four skyboxes overlooking the playing field, a rooftop terrace and banquet area. The facility is also home to The 3rd Floor Bistro at the Danny Villanueva Victory Club which operates as a restaurant during the lunch hour and can be reserved throughout the day as a banquet hall for meetings and other desired functions. Danny Villanueva was a former Aggie football player who also played for the Los Angeles Rams and the Dallas Cowboys. Located adjacent to the northwest stadium entrance, the Football Team Building was constructed in 2006. The building includes a 100-seat team room, two smaller meeting spaces, support spaces, and a large lobby known as the Clifford Ross and Cooper CPA’s Hall of Legends. The Hall of Legends features a 12×45 foot mural depicting a collage of past players and coaches. Located to the north of Aggie Memorial Stadium, the Football Field House was newly remodeled in 2006. The Field House boasts coaches’ and players’ locker rooms, team meeting rooms, equipment rooms, and an athletic training office complete with a doctor’s exam room and X-ray room. 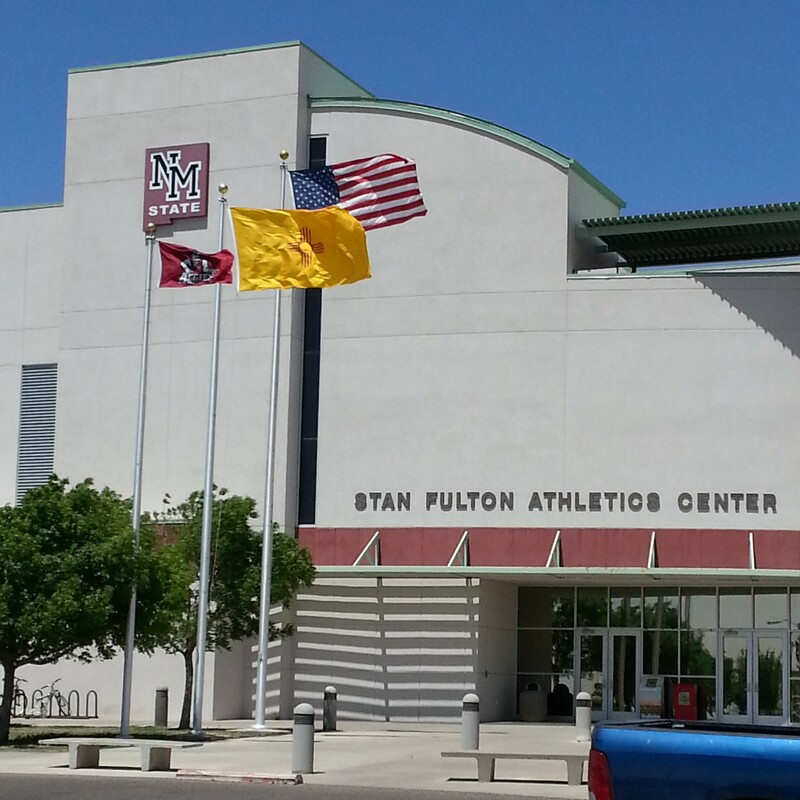 The 6,749 square foot Football Coaches Building, built in 2010, is the first building on the NMSU Las Cruces campus to receive the Leadership in Energy and Environmental Design Silver [LEED} certification by the U.S. Green Building Council’s Green Building Rating System. Located on the Aggie Memorial complex, the Coaches Building includes private and open offices, a waiting room and gallery, a large conference space, and support spaces. Built in 1992 with funding from the Coca-Cola Bottling Company of Las Cruces, the Coca-Cola Weight Training Center benefits the student athletes of 16 NMSU athletic programs. The 13,500 square foot facility was among the top five largest such collegiate buildings in the nation when it was built. Located to the west of the Football Field House, the Weight Training Center houses a large free weight space as well as a 130-foot indoor track. Located to the east of Aggie Memorial Stadium, the East Parking Lot Practice Field was created in Fall 2010 in support of NMSU Soccer’s inaugural year and is now primarily used by NMSU football. The Practice Field also hosts a number of outdoor concerts and events. NMSU Special Events also provides ticketing services for the ASNMSU Center for the Arts and the Music Center’s Edith & F.E. Atkinson Recital Hall.